Pinterest, the social bookmarking platform, on Friday filed for an IPO that should result in its shares being traded next month on the New York Stock Exchange. Big picture: Pinterest is one of several 2019 IPO hopefuls that have remained private longer than have past generations of tech startups, thanks largely to a ready flow of investor capital. The San Francisco-based company was founded over a decade ago, and has raised nearly $1.5 billion (most recently at a $12.3 billion valuation). Pinterest reports a $63 million net loss on $756 million in revenue for 2018, compared to a $130 million net loss on $473 million in revenue for 2017. It plans to trade on the New York Stock Exchange under ticker PINS, with Goldman Sachs, Morgan Stanley and Allen & Co. as lead underwriters. The San Francisco-based company claims 250 million monthly active users, two-thirds of whom are female. Top shareholders include Bessemer Venture Partners, Andreessen Horowitz, FirstMark Capital, Fidelity and Valiant Capital Partners. "Pinterest can go after every segment, everything from retail to even financial services," eMarketer analyst Andrew Lipsman tells Axios. "People actually engage in personal finance sharing on Pinterest, so it's actually relevant to a lot of companies, which means its advertising application potential is really strong." 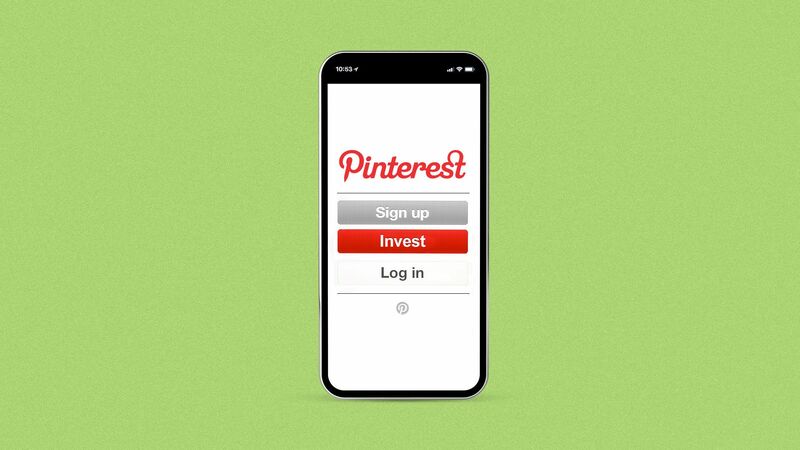 History as a guide: Pinterest will be going public just after Instagram introduced an in-app e-commerce feature. This doesn't go at the heart of Pinterest's business, which is more about promoted pins than its "shop the look" pins, but it is a bit reminiscent of how Instagram introduced its Stories feature as Snap was gearing up for its own IPO.